WASHINGTON, D.C. — Over the 47 years Patient Advocate Gail deVore has lived with Type 1 diabetes, the price of her insulin has increased from $5 to $1,400 for four vials. Today, the Colorado resident will share her story during an Energy and Commerce Subcommittee hearing on the price of insulin. Almost 30 million Americans live with diabetes, and 6 million need insulin to survive. Today’s hearing is the latest in a flurry of action on Capitol Hill to address what 8 in 10 Americans say is the “unreasonable” cost of prescription drugs. “The relief we need is right now. Not next week. Or next year. Children and adults are still dying because we cannot afford insulin,” Gail deVore of Denver Colorado, a Patients For Affordable Drugs Patient Advocate, plans to tell the committee. Frederick Banting and two colleagues discovered insulin in 1921, sold the patent for $3, and won the Nobel Prize in medicine in 1923. 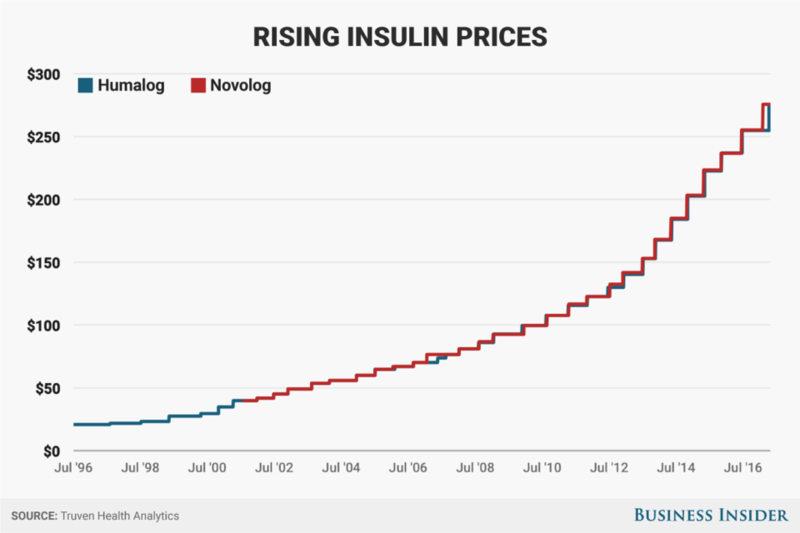 Today, the global insulin market is controlled by a cartel of three companies: Eli Lilly, Sanofi, and Novo Nordisk. In 1996, Eli Lilly charged $21 for a vial of insulin. Today, the drug corporation charges patients without insurance $275 per vial. In Canada, insulin costs about $40 per vial. Momentum for Congress to act on rising drug prices is growing. This year, the Senate Finance Committee, Senate Aging Committee, House Committee on Oversight and Reform, and the House Energy and Commerce Committee have all held hearings on the topic of skyrocketing drug prices.